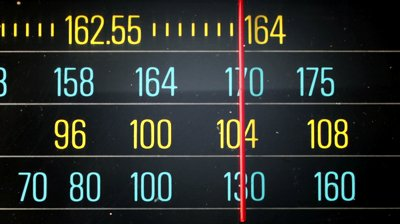 EUROPE | Germany's WDR is to become the latest public service broadcaster in Europe to turn off its Medium Wave transmissions in favour of DAB digital radio. WDR has confirmed that broadcasts on 720 and 774kHz will cease at 2am local time on Monday 6th July. Affected broadcasts continue exclusively on digital radio platforms, including DAB+, online and via digital satellite. Bavaria's BR will be closing its Medium Wave transmitters at the end of September with national broadcaster Deutschlandfunk ending AM broadcasts by the end of the year. As more and more stations across Europe leave Medium Wave, it leaves the UK as one of the last countries with a degree of choice on AM - with stations including Absolute Radio, TalkSPORT, Smooth Radio alongside numerous BBC services. However, earlier this year, Absolute Radio and Smooth Radio terminated their AM broadcasts in Berkshire when the lease on transmitter couldn't be renewed. With the BBC expected to face further cuts, and AM listening steadily declining, it's likely that AM services will begin to be culled during the next Charter Period, which commences in 2017. In under six months time, the BBC will have increased DAB digital radio coverage to 97% of households, just under the 98.5% that can receive BBC Radio via Freeview and a similar percentage able to receive broadcasts via satellite.